Richard Ing discusses the rulers and hierarchies of the demonic kingdom. For instance, Jezebel and Ahab spirits are the plague of today's church, destroying even the most effective ministries through controlling women and passive men.Discover how to overcome Satan's insidious tactics by learning about: The proper use of binding and loosingThe anatomy of a deliveranceSatan's legal rightsSpiritual war gamesWinning spiritual strategiesVictorious spiritual warfare is possible only as the Holy Spirit empowers individuals in the body of Christ. 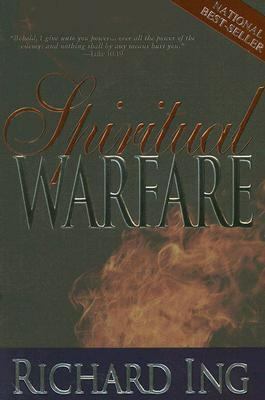 Learn all of the techniques and strategies available to you in your full arsenal of weapons.Ing, Richard is the author of 'Spiritual Warfare', published 2006 under ISBN 9780883689172 and ISBN 0883689170. Loading marketplace prices 17 copies from $12.09 How does the rental process work?